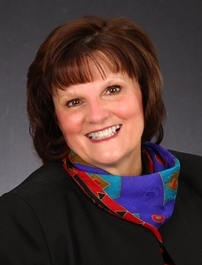 "Nancy's prior experience in the world of banking gives her unusual and exceptional depth as a realtor. She is an exceptional agent whether representing the buyer or the seller. I recommend her without reservation!" Highest Price & Best Service! Call Nancy! Nancy and would recommend her unreservedly." I Wouldn't Call Anyone Else! "Professionalism delivered with integrity. I have great confidence in Nancy. When I am ready to sell she will be the first person that I call. I know she will provide wise counsel on how to price my home." If You're a First Time Home Buyer, You're in Good Hands! "Nancy is the best!! My wife and I were looking for a property to lease for about a year and worked with several agents. We are extremely picky and working with Nancy made this process a breeze. She has the patience of a saint and always smiles even when we were frustrated after we lost the first few bids. We look forward to working with Nancy when we're ready to buy our first home." My Condo Is Beautiful Thanks to Nancy! "Nancy did an excellent job taking me around showing me homes and condos so I could be close to my nursing school. Even in heat stroke weather she walked so much trying to find a condo that was hard to find. I highly recommend her. I consider her like family and a good friend now. She is very personable and patient ... very sweet lady. Awesome job Nancy! I have a beautiful condo because of her and it happens to be right behind my school. I only have a 10 second drive to the parking lot. I'm so lucky she found this and she was able to get me a two-year lease! Thank you so much, Nancy." Want to Get the Job Done? Call Nancy! "Nancy was my Agent and was a great help with the selling of my Mom's house. She had ideas, resources, and other contacts that made the process very easy. She was a very dynamic person and it was a real pleasure working with her!"